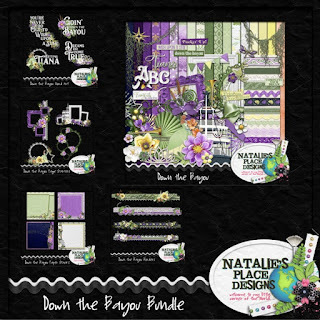 Weather it is meeting Princess Tiana or sailing down the bayou on a riverboat, you will love this New Orleans inspired kit from Natalie's Place Designs. 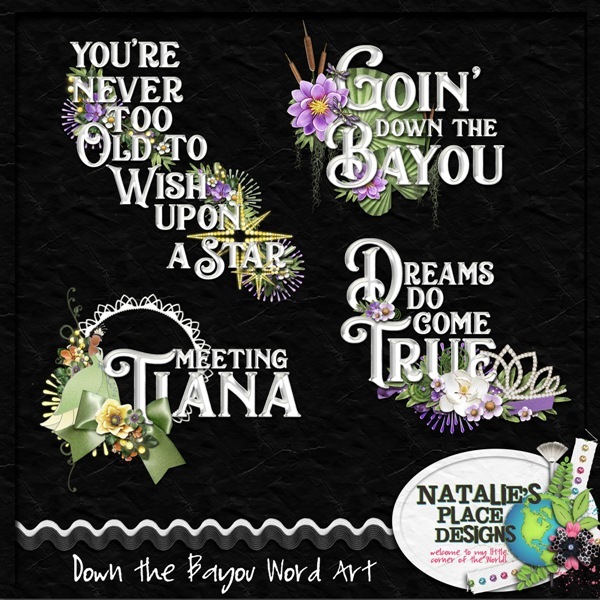 This kit includes 18 papers, 8 flowers, 8 ribbons, 1 bow, 2 rickrack, a string, 4 burst elements, a trim, a lace, a sequin flourish, 2 leaves, a riverboat, a frog, a lily pad, 2 magnolia branches, a banner, 5 frames, a fleur de lis, a trumpet, a trombone, a firefly, a firefly overlay, a sparkle trail, a tiara, 2 stars, cat tails, a dragonfly, a berry pick, a vine flourish, 2 pieces of Spanish moss, 8 word tags and an alpha. 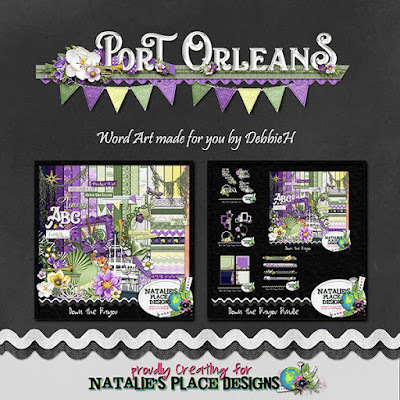 You can get more freebies on Lisa's Blog, Cynthia's Blog and on Natalie's Blog. 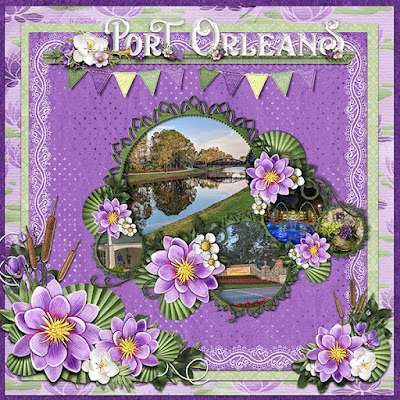 I hope you have a lovely weekend scrappin'.